My heart is broken, my voice silenced since she is gone… since her beautiful voice has died…since her passion no longer burns…but we will always have her music…her endless love…her greatness. 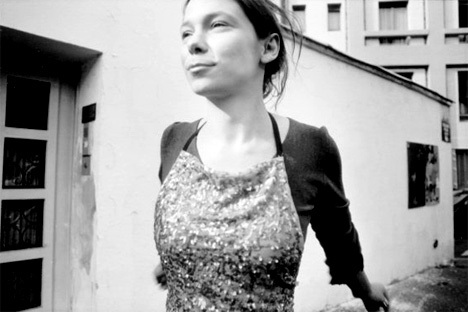 „The singer Lhasa de Sela passed away in her Montreal home on the night of January 1st 2010, just before midnight. She succumbed to breast cancer after a twenty-one month long struggle, which she faced with courage and determination. Throughout this difficult period, she continued to touch the lives of those around her with her characteristic grace, beauty and humor. The strength of her will carried her once again into the recording studio, where she completed her latest album, followed by successful record launches in Montreal at the Théatre Corona and in Paris at the Théatre des Bouffes du Nord. Two concerts in Iceland in May were to be her last. She was forced to cancel a long international tour scheduled for autumn 2009. A projected album of the songs of Victor Jara and Violeta Parra would also remain unrealized. It is difficult to describe her unique voice and stage presence, which earned her iconic status in many countries throughout the world, but some Journalists have described it as passionate, sensual, untameable, tender, profound, troubling, enchanting, hypnotic, hushed, powerful, intense, a voice for all time. Lhasa had a unique way of communicating with her public. She dared to open her heart on stage, allowing her audience to experience an intimate connection and communion with her. She profoundly affected and inspired many people throughout the cities and countries she visited. nu se poate… i had no idea… ce pierdere! Dumnezeu sa o odihneasca!